Oslo + Paris, Shoot Gallery. Opening October 28 - December 18, 2016. 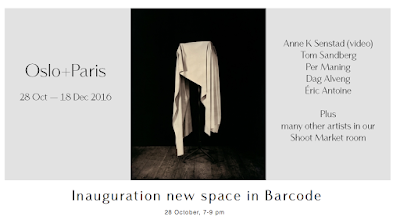 Inaugural exhibition opening of the new gallery space in Barcode, Oslo, Norway. Video stills: The Vanity of Vanities All is Vanity, 2013. By Anne Senstad. Single channel video. 6.27 min. Sound by JG Thirlwell. 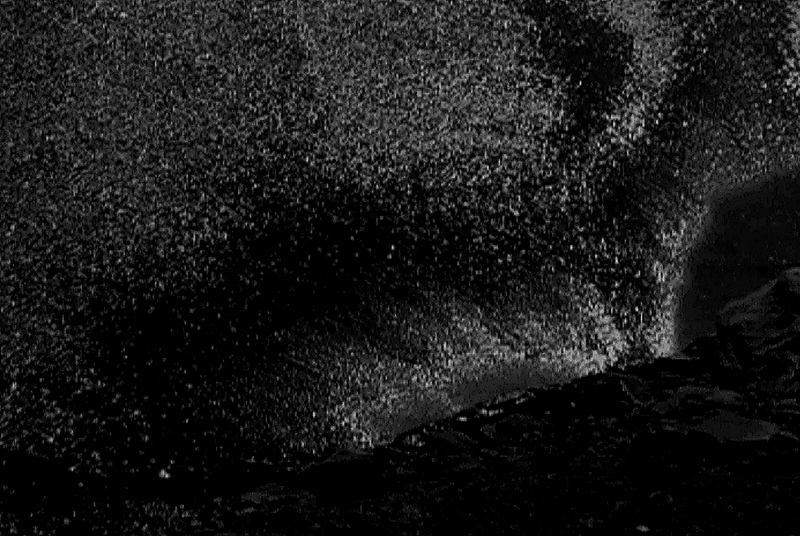 Presenting high quality Norwegian Fine Art Photography in combination with high quality International artists. This time represented by some of our finest Norwegian masters side by side with a french master of the ancient Ambrotype (wet plate collodion photography). 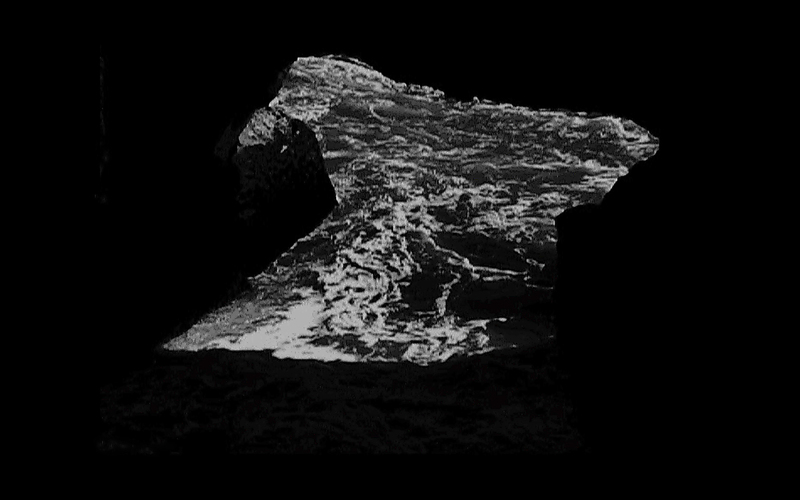 We also have the pleasure of introducing video in the gallery for the first time, represented by the New York based artist Anne Katrine Senstad. Anne Katrine Senstad is a Norwegian artist based in New York. She was educated at Parsons School of Design and The New School for Social Research in New York. Senstad works in the multidisciplinary intersections of installation art, photography, video, site and performative specific work, text interventions and land art. She is concerned with sensorial aesthetics, perception and the transformative, the transcendental ideas of art and philosophical practice, and social-political awareness. Spatial and topographic considerations of light, sound and color are a foundation for her explorations in the experiential and experimental. Her sources lie in literature, philosophy, technology and cultural phenomena. 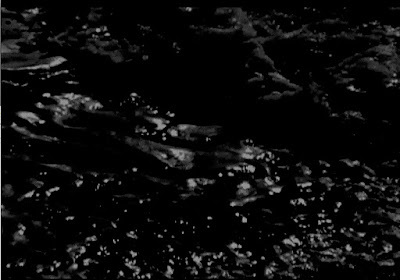 Her video work has been shown at Centre Pompidou in Paris, Haus Der Kultur Der Welt, Berlin, Beirut Art Center, Lebanon, The Canadian Museum of Nature, Museum of Modern Art Ukraine in Kiev, Dallas Aurora TX, Video Arte Internacional Buenos Aires, Eva Peron Museum, Argentina, Oslo Screen Festival, Bærum Kunsthall, ATHR Gallery in Jeddah, Saudi Arabia, and ISEADubai2014. The video work for this exhibition "The Vanity of Vanities All is Vanity" refers to the biblical term and is a reflection on ethics and the illusions of superiority over nature; a state of vanity. The piece was first shown in Senstad's solo exhibition during the 56th Venice Biennale 2015 at El Magazen dell'Arte, as an immersive installation. The piece is accompanied by a soundtrack by JG Thirlwell, who has composed numerous sound works for Senstad's video installations. Tom Sandberg (1953-2014) is one of the most acknowledged Norwegian photographers today, exhibited internationally over the last three decades. His exhibition at P.S.1 Contemporary Art Centre/MoMA in 2007 was the first solo exhibition of work by a Norwegian artist in a New York museum for nearly twelve years. Working exclusively with large format, black-and-white film, Sandberg has produced a remarkable body of work that is consistent in its vision and imbued with a sense of mystery and great depth of feeling. Whether he depicts sublime snow-covered mountains, a car parked in the street, the head of an infant, or a spectral house shrouded in fog, his pictures are about what it means to be alive. Many of Sandberg’s pictures are aerial views—the earth seen from above, in a sense, in a state of suspension. One of his most hauntingly beautiful pictures is that of a plane seeming to hover just a few feet above a runway. Sandberg's work is about photography, about the act of seeing, and ultimately about being in the world. Focusing on a single object or person in each photograph, and steeping them in a murky, wintry light, Sandberg draws out soft tones and moody atmospheres from his subjects to create a pervasive complicity between them and the surrounding landscape. He captured the inner nature of photography with a sober technique. Per Maning (b. 1943) is one of the most appreciated modern artists in Norway. He is particularly known for his animal-themed photography and video works. The key focuses of Maning’s art are human nature, identity and otherness. His works contribute to the topical discourse in modern art on the relationship between human beings and other species. According to Maning, our identity is not dependent solely on race, gender or nationality. It is also based on our ability to acknowledge ourselves as a species among other species. Maning was the first artist to represent Norway in the Venice Biennale with Photography in 1995. Dag Alveng was born in Oslo in 1953. His work has been shown in solo and group shows around the world. His photographs are in the permanent collections of major museums in America and abroad, including the Metropolitan Museum of Art, New York; the Museum of Modern Art, New York; Museum Folkwang, Essen; Sprengel Museum, Hannover; Stedeijk Museum, Amsterdam; Moderna Museet, Stockholm; Museet for Samtidskunst, Oslo; DNB Art Collection and Henie-Onstad Kunstsenter, Bærum. Alveng has published several books, among them ASYLUM (1987), THE SHIPYARD AT SOLHEIMSVIKEN (1990), LAYERS OF LIGHT (1995), SUMMER LIGHT (2001) RACING (2012) and WILSE (2015). He has organized many exhibitions. Between 1986 and 1996 he commuted between Oslo and New York, and now lives in Oslo. We have the pleasure of launching the French artist Éric Antoine for the first time in Norway. Éric Antoine was born in 1974. At the age of 21 he left France to live in New York where he found his passion, exploring the possibilities of analog photography. His images are the product of the painstaking wet collodion process. Returning to the origins in order to create a new future is a common process. For Éric Antoine it meant focusing on nature and simple activities, but also going back to the origins of photography itself, by using one of the earliest and purest techniques. Without being too nostalgic or backward looking, the photographer has chosen a more sedentary photography in a less productive manner, ‘just a few glass plates against the endless flow of digital images’. The artist draws attention to what we tend to neglect due to lack of time, and denounces sensationalism in all its forms. Each and every image is shot with no rush, with long exposures yet in a modern way, in a place just a little remote from the world. Éric Antoine takes a stand against modern society and its obligations. Antoine's contemplative aesthetic has been achieved by exploring different definitions of time: historical time, exposure time, measured time. These photographs, whose large formats require careful staging, are imbued with ambiguity, suggesting that the stories hinted at in each image have yet to be completed. 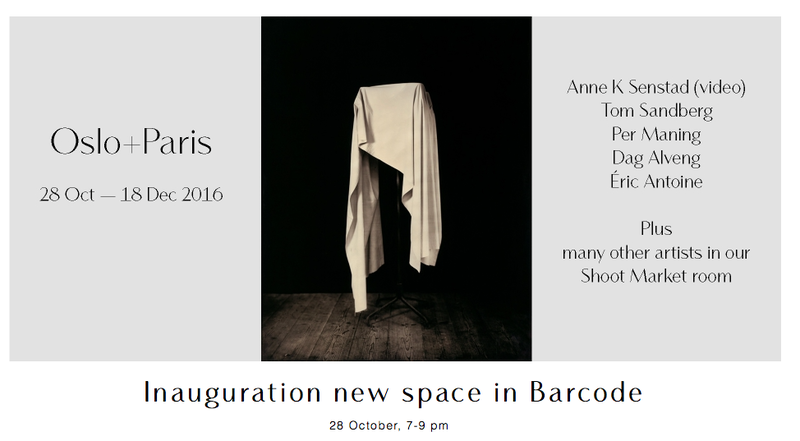 Éric Antoine's photographs are now shown in several galleries in Europe and he is opening his 4th solo show in Paris November 4.